CG PET 2018 Application Form can be filled till 5th April 2018. CG PET (Chattisgarh (Pre-Engineering Test) is organized by the Chhattisgarh Professional Examination Board (CPEB). It is a state level entrance exam for providing admission to students in B.Tech in engineering, Dairy Technology and Agriculture streams. Through this exam, aspirants can get admission in various governments/private institutions of the Chhattisgarh state. In this article, we have given details of CG PET Application Form 2018. CG PET 2018 Application Form can be filled till 5th April 2018. Click here to fill application form. Click here to Track Application Status. Click here to check Transaction Status. Aspirants can fill the CG PET application form via online mode from the website. Aspirants are informed to fill the application form carefully as per the given instructions. Upload the scanned images (photograph, thumb impression and signature) in prescribed format. The size of scanned images should be 40 KB to 50 KB. Photograph dimension should be 3.5 cm x 4.5 cm. Once the application form submitted, aspirants will not be permitted to edit the data in the application form. After successful completion of the application form, a registration ID number will be generated for further login process. Candidates can also track their application through login window by entering their login details. The application fee is Rs. 200/- for General, Rs. 150/- for OBC and Rs. 100/- for SC/ST/PH category candidates. The application fee can be submitted through downloaded bank Challan of any branch of SBI Bank. Aspirants can also deposit the fee through online mode (net banking, credit card and debit card (ATM card)). Nationality: Aspirant should belong to the India. Domicile: It is mandatory have a valid CG domicile. Qualifying Exam: Aspirants have to pass the 12th/equivalent from Chhattisgarh or equivalent board. Subjects: Students must have Physics, Mathematics, Chemistry and one of the technical vocational subjects. Minimum Marks: The aspirant must obtain the 45% marks (for General) and 40% marks for SC/ST/OBC/PH. Qualifying Exam: Applicant must pass intermediate board class from CH or equivalent board. Subjects: The necessary subjects to have in the qualifying exam are physics, chemistry, mathematics and English. Minimum Marks: Must secure 50% marks in aggregate in PCM & English (40% for SC/ST/OBC). Age Limit: The aspirant should complete the 16 years of age as on 31st December 2018. CG PET application form 2019 will be available through online mode. It will be released in the month of March 2019. 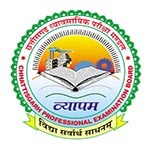 Chhattisgarh Professional Examination Board will regulate the CG PET 2019 exam. This exam is conducted to offer admission in UG engineering courses in various specializations. Navigate the official website link (link is provided above). The “ON LINE APPLICATION FOR PET & PPHT-2018 (Pre Engineering Test & Pre Pharmacy Test-2018)” page will appear on your computer screen. Tick on your citizenship and tick on the exam for which you want to apply. Aspirants should fill the application form after reading the instructions given in the information brochure carefully. Fill the details required, such as the candidate’s name, mother’s name, 10th class roll no., DOB, gender, category, height, weight, etc. Download the image format & paste photograph in the given section. Put signature and left hand thumb impression in the format. After that, scan the image format & upload it in JPEG format. Read the declaration carefully and tick on the box of “I Agree” and click on “Submit” button. Confirm the submission of application form by click on “Continue” or “Edit” button. Click on “Pay” button and proceed to pay the application fee. Pay the application fee through online or offline mode as per your preference. After the confirmation of fee payment, take printout of the filled application form for further use. Check here – How to Fill CG PET 2018 Application Form. Question: When will CG PET 2018 application form releases ? Answer: The application forms has been released on 15th March 2018. Question: What is the eligibility criteria for B.Tech (Agriculture Engineering) programme? Answer: For engineering courses, candidates must qualify the intermediate or equivalent from Chhattisgarh board or equivalent board. You can check the detailed eligibility from the above section. Question: Can I edit the details after submission of the CG PET application form? Answer: No, you can only edit the data while filling the application form before submitting it finally. Question: I am from Maharashtra state, can I apply for CG PET examination? Answer: No. you are not eligible to apply. Question: Can I get application form through offline mode? Answer: No, CG PET application form 2018 is available through online mode only. Question: Did I have to send the hard copy of the CG PET online application form? Answer: No, you don’t have to send the application form to the exam conducting authority. If any candidates have query about CG PET 2018 Application Form, they can leave comments in the comment box. Sir i haven’t filled the form of cg pet .Is there any chance of filling the form now? after the last date of filling the form ? After last date, there is no chance. This is a technical issue generated officially. Sir sucessfully submit hogya but fee payment ni ho ra hai,cgpet form fir se fill kar sakte hai kya ??? i can’t paid after online form submission beacouse server problem so can i continue paid online trough the registration no. I have been sucessfully submitted cgpet form but my transaction is interrupted,now,what should i do??? You can apply on 10th basis. By mistake while filling and submitting my form I put my category to general and actually it’s obc can I change it or edit it. yes, wait for the correction period. Yes, if you have domicile of that state. Please give me a link of cgpet 2018 application form. I’m unable to find it. there is collision between the dates of examination of cgpet and nata. will the dates change? The dates are decided by the exam authority. If any changes happen in exam dates we will update in our website. I have been uploaded scaned emage of my photo, signature and thumb impression, I think it was not visible clearly. Is it required to replace with re-scaning. You will get the message for re-uploadin of your images if they will found that the images are not correct. Can we edit CG PET Form 2018 once successfully after submission as I have wrongly uploaded sign emage. CG PET 2018 application form will be available from 15.03.18. It is already 16.03.18 but not trace of application form. Kindly let us know when the application form will be available and at which website. I am from Bihar. can I eligible to apply.